THEY improv provides a variety of entertainment options that can be done around a dinner, a lunch or simply as a stand-alone to provide laughter and team building throughout Northern Virginia while the participants will likely just think that their having a good time without realizing the morale and group benefits being imparted. For companies, THEY have a variety of team building and training programs to enhance client and employee appreciation, holiday gatherings and meetings and incentives awards programs. 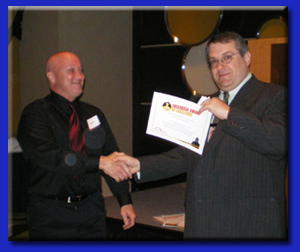 THEY improv leads the way for Loudoun County corporate and party entertainment with their Northern Virginia game shows. These shows are designed to entertain and to produce positive results. Participants in the games have a lot of fun while lowering their personal barriers and increase their ability to participate in personal relationships. Each Loudoun County corporate event, meetings and incentives or private party game show is individualized with elements adjusted based on the needs of the audience. This includes shifting from ratings G through NC-17, wholly audience driven to packing participants with comedic performers, and from innocuous shows to shows that ambush unwitting audience members. Most game shows are provided as a low-tech adventure for the audience members to increase the flexibility of performance. Additional set elements, equipment, scoreboards, etc. are available at an increased cost. Besides the host, a Vanna is available at an increased fee, and is recommended for shows with larger audiences. Travel costs will also be added to any quote. Shows come in ranges of 30, 45, 60, and 90 minutes. Prices range due to the level of customization, so you should contact THEY improv for a quote. Whether you are government contractor, a high-tech firm in the Dulles Technology Corridor, or simply a small company looking to improve morale, THEY improv has a Loudoun County game show that can help you achieve your goals. 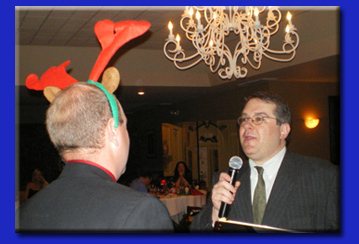 From the smallest meeting to the largest convention, there is a variety of game show that can match most any budget for your Northern Virginia corporate event or private party. For Loudoun County private parties and corporate events, THEY improv is proud to serve Leesburg, Sterling, Ashburn, Lansdowne, Dulles Town Center, Brambleton, Broadlands, Dulles, Purcellville, South Riding, Stone Ridge as well as Fairfax, Falls Church, Arlington, Alexandria, Manassas and everywhere else in Northern Virginia. THEY improv is a System for Award Management (SAM) Database Registrant and registered with Dunn & Bradstreet. Contact us by email at info@THEYimprov.com or call (866) 219-4386. The Functional Feud: Loosely based on television's popular Family Feud, the Functional Feud has competitors competing to come up with complete lists from popular knowledge. From naming the seven dwarfs to the seven deadly sins, common knowledge is challenged for points and bragging rights in this battle of wits. Learn more on our Functional Feud Page. The NewlyMet Game: Loosely based on television's popular the Newlywed Game, the NewlyMet Game pairs contestants off to prove that they know more about each other than the other pairs. Audience members serve as the judges with bizarre and fun ways to show incorrect answers. Often entertaining and amusing, this brings knowledge of each other to a new level and enhances personal relationships in a fun and supportive atmosphere. Learn more on our Newly Met Game Page. Match Me If You Can: Loosely based on television's popular Match Game, Match Me If You Can pits two contestants against one another trying to match answers with a panel of six audience members. Other audience members serve as judges with group fun at incorrect answers. This game improves the group mind of a team and helps people to see things through each other's eyes. Learn more on our Match Me Page. Timed Tirades: Loosely based on television's popular Minute To Win It or Beat the Clock, THEY improv's Timed Tirades pit contestants against each other in big goofy activities. With dozens of options for contests, with everything from human horseshoes to hopping, there's something for any group. One of our most popular options, you should contact us today to find out how we can increase employee bonding through these fun activities. Because it reinvents itself and changes the contestants, this can be used for a slightly larger group range (20-75). Learn more on our Timed Tirades Page. Murder Mystery Mayhem: This is a custom-built murder mystery party for your group with a THEY improv professional facilitating the evening and making sure that everyone has a good time. With our emcee watching over your group, the attendees are pitted against one of their own, a murderer, who works to get away with murder! If someone solves the crime, the murderer is found and the super sleuth gets a prize. If the murderer gets away with it, he or she gets the prize instead! Additionally, a prize is given to the best actor/actress in your group. A great game for smaller groups (15-40) that are looking for unique entertainment. 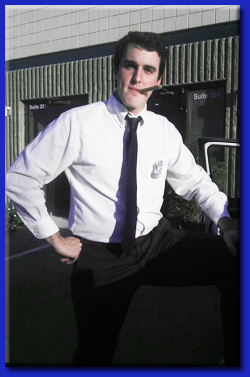 Learn more on our Murder Mystery Mayhem Page. Trivia is not Trivial: Designed for larger groups, the audience is divided into teams, usually by table. The teams are provided with the upcoming categories of questions. They talk amongst themselves and determine their confidence for each category. Then, as questions are asked, the teams compete against each other to win a trivia quiz without the benefit of technology. This bonds team mates, has friendly competition and can be done throughout a meal leading to a more lengthy shows. While most are 30-45 minutes, this can run for 90 minutes or so. A great game for slightly larger groups (50-150 or more). Learn more on our Trivia Games Page. Audience Olympiad: For larger groups one of the potential issues is a small percentage of the group participating in the activities. Into this area THEY improv developed the Audience Olympiad. This is designed to divide the audience into teams and for the teams to determine within their group who will participate in each activity with scores being aggregated together for a total result rather than game by game. Everyone on the team wins prizes whether or not they physically participated or not. This means that they're more likely to cheer their team on to victory. 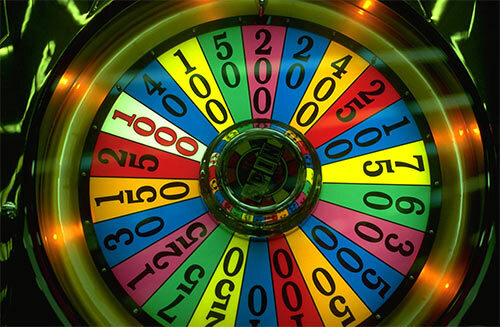 This is the only game show that we generally do not provide the prizes as the teams can get quite large. We can bring the prizes for a negotiated charge. Learn more on our Audience Olympiad Page. Getting To Know You: Designed as a team building effort, the audience is divided into several groups. Each group is provided with a period of time to talk to each other. They are expected to learn pertinent details about each other and to get to know each others' personality. One person from each group is brought up in front of the audience. They are each provided with a white board to write answers. The person from each group is asked questions about themselves. Their group then tries to match those answers. It is a great way for people to get to know each other better and learn things about one another. A great game for slightly larger groups (70-150). So You've Got Talent: We have a variety of formats designed to bring out the unsung talent of your group. Whether singing, dancing, acting, comedy, writing, skills of dexterity or human oddities, there's a format to push the boundaries and to get your coworkers, friends or family to bond as never before. Our facilitators can assist or simply provide the framework for your people to become stars. To learn more about these, please see our Talent Page by clicking here. There are versions for just about any sized group (10-150) or for smaller groups (10-30) to perform in front of major audiences ranging in size into the many 100s.